Summary. 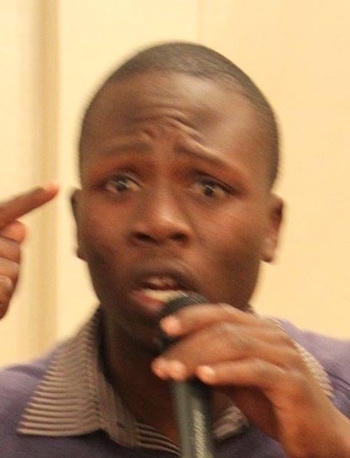 Philemon Jambaya is a young Zimbabwean journalist who defends freedom of the media. For his efforts, along with fellow journalists, he’s been beaten up by police merely for following through on an assignment. Jambaya started the Young Journalists Organisation advocating for journalists’ rights and he’s not about to quit. Profile. On July 28, 2017, a group of Zimbabwean journalists marched to Harare Central Police Station to protest the previous day’s police assault on three colleagues employed by the privately owned NewsDay daily newspaper. One of them was a young journalist named Philemon Jambaya, who himself has been a victim of police brutality. Philemon Jambaya is both journalist and activist. He established the Young Journalists Organisation—YOJA—to champion freedom of the press in Zimbabwe. Jambaya and YOJA have conducted media campaigns and marches, advocating for fellow journalists who have been beaten up merely for doing their jobs. Jambaya also chairs the Youth Forum, whose mission is to get the government to address the high unemployment rate (80%) of young people in the country.